This is the current homepage. This is the lower section of the homepage. 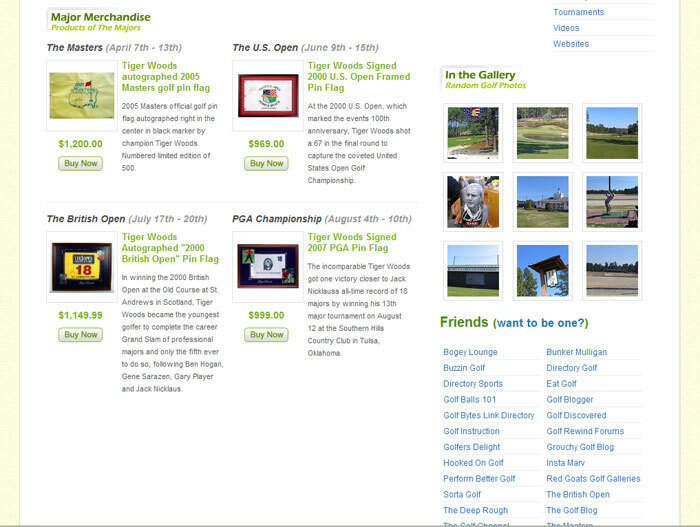 This is a screen capture of the photo gallery page. 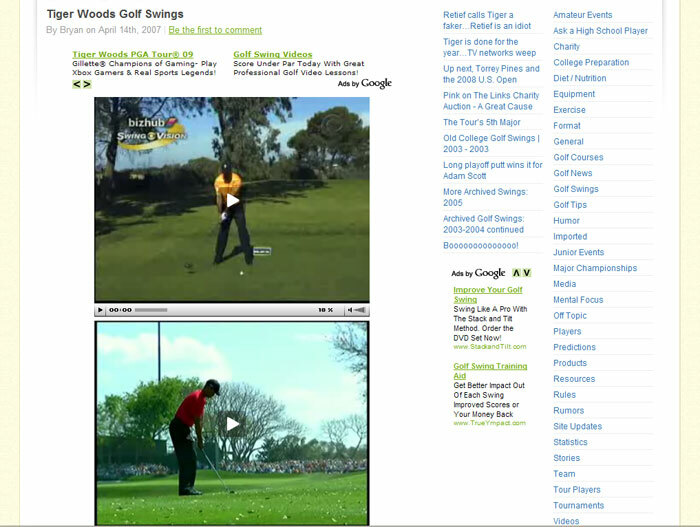 This is a screen capture of the videos page. 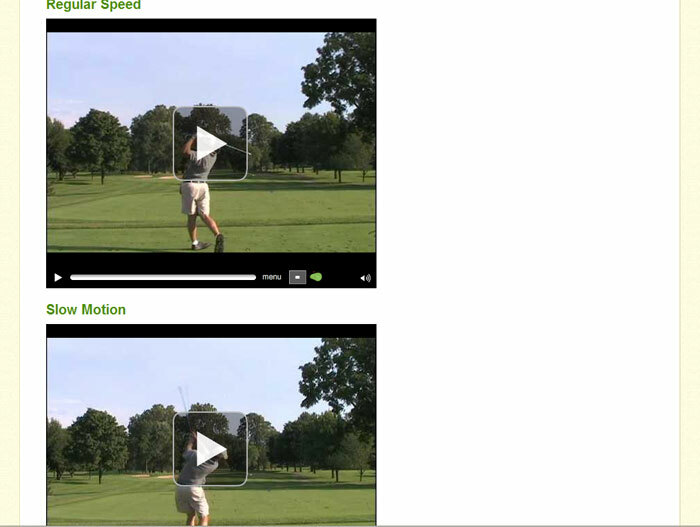 This is another screen capture of the videos page. his was the original design of the homepage. This was the second design that took on a dark color scheme. This is a single page from the original design. Golf is a huge passion of mine and a sport that has been with me since I was 7 years old. I am very fortunate to have been a part of two state championship wins and runner up medalist in 1998. 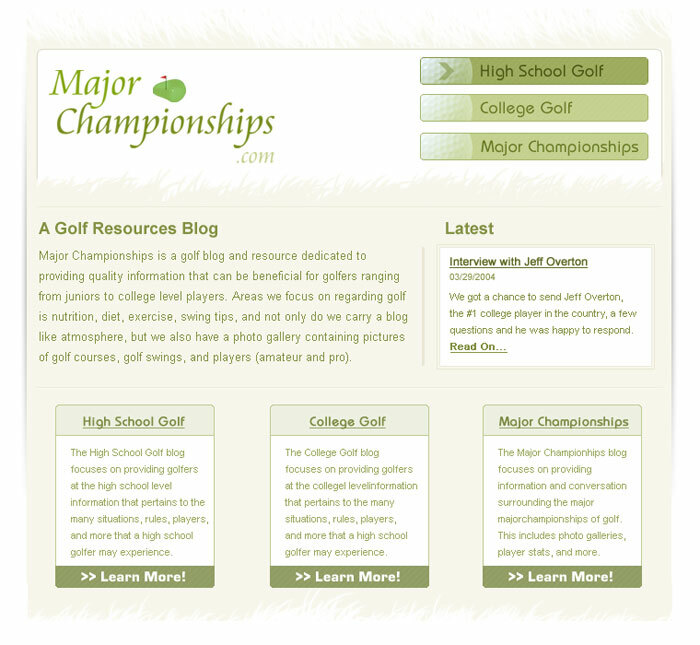 Several years ago, I took that passion onto the web with the idea of a golf blog that would cover the latest golf happenings in the world, but provide an outlet for high school and college players to provide their experiences, provide tips, upload swing videos, and more. 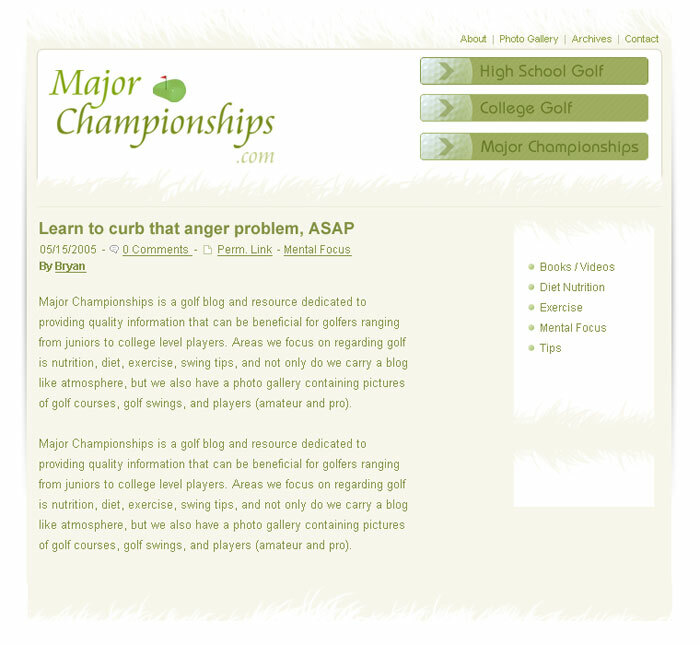 The site took on a different direction and focused less on multiple authors and instead covered the latest golf news, commentary, the Major Championships, tour players, videos, and photos. 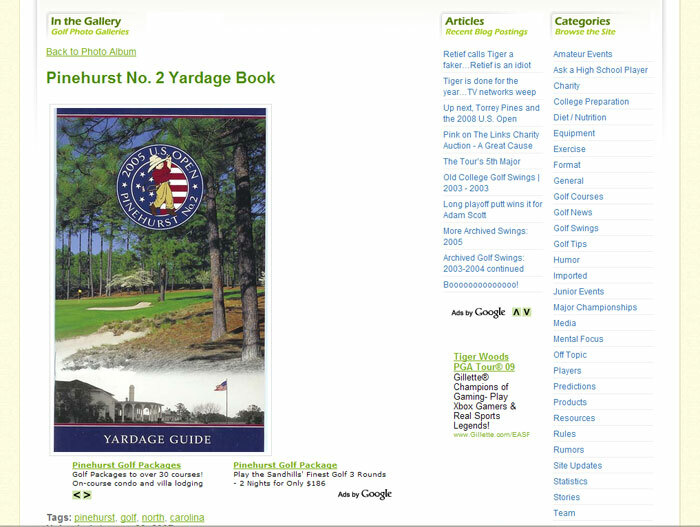 One of the highlights for Major Championships was being linked on the AOL Sports 2006 Masters and PGA Championship coverage sites. The site has gone through 3 design phases thus far, with the current one being my favorite. The current design actually resembles that of the original. The second design was simply going for a different color scheme that didn't work out as well as I wanted.